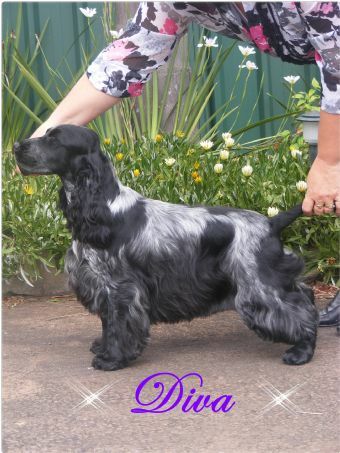 This is Diva pictured at 11 months and what a little surprise package she is and very aptly named as she is a DIVA! She has always strutted her stuff and continues to do so with her lovely movement and merry nature. 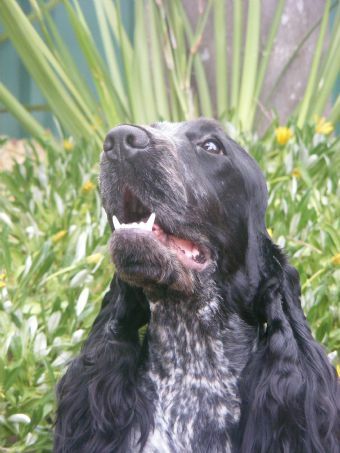 She is a very compact Cocker with a beautiful body and has the sweetest head and expression. But she has a wicked streak. Very cheeky and into everything. I must take this opportunity to thank Ann O'Keefe for allowing me the priviledge of using Hayden whilst he was in Australia and get this special girl. And his owners Lisa Ross (Winfree) & Debra Decker (Blueprint) for allowing him to visit. 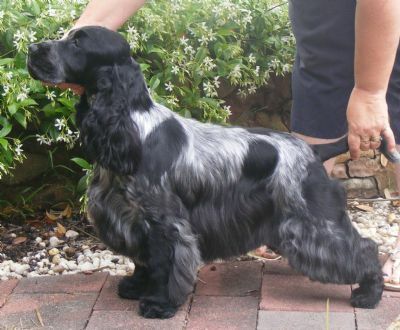 at The Cocker Spaniel Society of NSW Inc.
Not under 1 but 3 Judges all of whom have had or still have Cocker involvement. Namely Mrs Julie Gotch (Clarevale), Mrs R Fazey (Wintergem) & Mr N Strathdee (Padtheway). This is the second year in a row that I have won this prestigious award and I am extremely proud. "Dark blue of similar type to 1st. Typical head, eye and expression. Clean neck, well angulated forehand. Pleasing legs, body, ribs and hindquarters. Scored in compactness."